SCIONICS: Scio-Buddhism was a natural development of Scionics: the invincible philosophy, science and technology of the fully integrated application of philosophical naturalism. (The term “Scionics,” like the word “science,” is derived from the Latin root “scire,” meaning “to know.”) Scionics entails the full utilization of, and adherence to, reality-based, scientifically valid criteria for developing, evaluating, and integrating concepts and beliefs. The Scionics protocols maximize an individual’s capability to respond to all situations with understanding, rationality, control and love, potentiating the extraction of maximum hedonic value from all situations. NIRVANA: Nirvana is the ineffable and imperturbable state of liberation, freedom, peace and equanimity associated with the personal liberation from hedonic drives. In a sense, nirvana is a sort of ultimate and transcendent hedonic value – the transcendent hedonic value of being free from the drive for hedonic value. Thus it is that the “extraction of maximum hedonic value” which is prescribed by Scionics is transcendentally realized through Scio-Buddhism. Nirvana is not analogous or equivalent to some mystical afterlife heaven, and it is not the reward for “good behavior.” Nirvana is a very real state which can be achieved while one is alive – and Scio-Buddhism describes the path clearly, without recourse to mysticism, and always in complete accord with reality and reason. SCIO-BUDDHISM: Much research and effort has gone into the development of Scionics. This required the in-depth study and investigation of subjects and ideas from across the entire gamut of human thought and activity. During this research and investigation, it was critical that mystical ideas and concepts be identified and distinguished from reality-based ideas and concepts. As might be expected, the myriad religions of the world (both those practiced today and those which were practiced in the past) were found to contain enormous amounts of mysticism. There is one, however, which at its most fundamental core of beliefs is free of mysticism, and is compatible with reality and Scionics. This “religion,” in fact, is actually held by many as not truly being a religion in the usual sense of the word, but instead is considered to be a philosophy or simply an approach to living. This “religion-which-is-not-a-religion” is Buddhism, when Buddhism is stripped of all mysticism and its reality-based essence is laid bare. 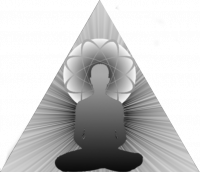 Scio-Buddhism is based upon the metaphysics and ontology of Scionics, and the path towards higher consciousness and the liberation from suffering of Buddhism. The One Sacred Law of Scio-Buddhism is: LIVE AND LET LIVE! The One Sacred Law is based on the recognition of The Most Sacred Right and its necessary corollary The Most Sacred Duty. The Most Sacred Right is the Right of Freedom and Self-Determination. The Most Sacred Duty is the Duty of Non-Interference with the Most Sacred Right of Freedom and Self-Determination of others. The Most Sacred Right cannot exist without the Most Sacred Duty, and the Most Sacred Duty cannot exist without The Most Sacred Right. Humanity has lived in darkness for far too long. The time for true Enlightenment is long overdue. Knowledge is power! Love conquers all! Scionics and Scio-Buddhism deliver the invincible combination of knowledge and love! The Church of Scio-Buddhism is a religious association, consisting of those who accept Scio-Buddhism and wish to live by and propagate its principles. To become a member of the Church of Scio-Buddhism requires one to first become a member of the secular Scio-Society, because so much of Scio-Buddhism is directly based upon Scionics Philosophy. You can begin your journey in the most effective and fastest growing movement for revolutionary positive transformation by registering to join the Scio-Society (and this website) for FREE! After joining you will have the opportunity to optionally join the Church of Scio-Buddhism and even to become a member of the clergy — also for free! Please register to join us in the most effective and fastest growing movement for revolutionary positive transformation! Much effort has been expended in making the path of Scio-Buddhism as clear as possible. It is only necessary to put aside your mysticism and maintain a strict adherence to rationality and reality. If you can do this, then you are about to take the first step of the most important and truly enlightening journey of your existence!